When you think of Calitzdorp and the Swartland, there aren’t many close links apart from the fact that they’re both farming communities, producing excellent quality wines with a very similar dry and sunny climate. However, only a few know that the start of the port industry in Calitzdorp (now the port-style capital in South Africa), is actually thanks to the Swartland and a fortunate accident. After a visit to the Swartland in 1973 by the Nel family of De Krans, they decided to plant Shiraz grapes in Calitzdorp. It took a few years for them to discover that the vineyard that they planted, was actually a Tinta Barocca vineyard! It became the first Portuguese cultivar planted in the Klein Karoo and because of the unique terroir of Calitzdorp (similar in climate to the Duoro Valley in Portugal), these grapes flourished with the wine being a testament of this. Similarly, approximately 20 years later, Tinta Amarela was mistakenly planted after buying certified Tinta Roriz vines and so the port industry in South Africa became synonymous with Calitzdorp in the Klein Karoo. What a wonderful twist of fate (also the name of one of De Krans’s Portuguese blends, to pay tribute to this piece of history)! For many wine drinkers the idea of a port style wine is quite daunting – be it the (possibly overwhelming) different styles, the dark bottles, the higher alcohol, or the fact that it is something your grandpa and his buddies used to drink after dinner, but that does not have to be the case anymore. Not only is it important to realize that port style wines are not only no longer only a winter drink, but they are also definitely not only a dessert wine. 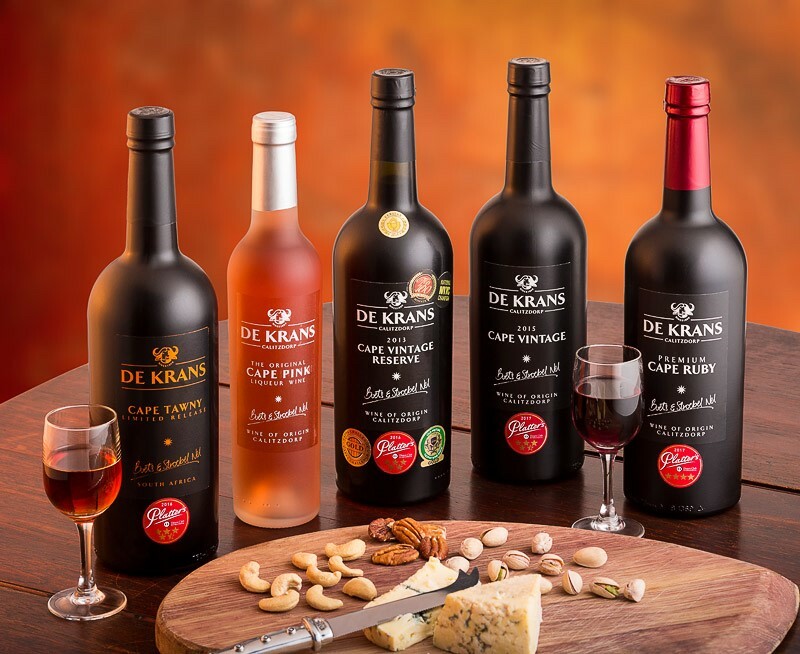 For more information on our range of quality port-style wines, visit our website www.dekrans.co.za or send an email to dekrans@mweb.co.za if you have any queries or comments.